Everyone has a story about Long Street in Cape Town where secrets are seldom sacrosanct. Mine emanates from a seedy pub in which I spent many a cold winter evening playing backgammon with mates. 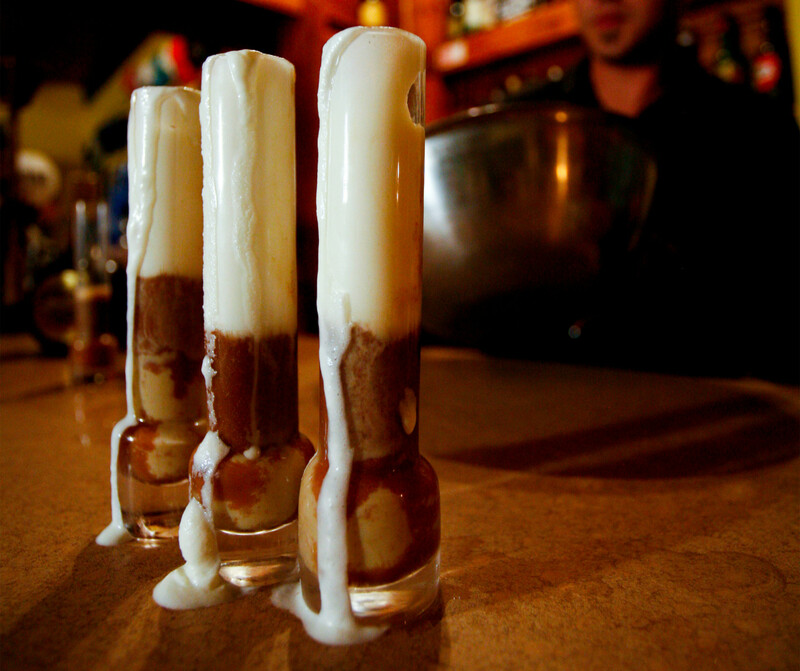 When my game needed upping I’d call for another little drop of heaven – a chocolate vodka. For some time the mystery of how to concoct this remained with the barman but my trusty palate and I finally figured it out. One massive warning: the combination of alcohol and sugar will rush straight to your brain, so please steer clear of operating any heavy machinery afterwards and of course never get behind the steering wheel . . . And don’t let on to anyone how to make it. This is our little secret. Break the chocolate into pieces small enough to fit down the neck of the bottle and watch them sink into the clear liquid. Put the lid on and immerse the bottle in a pot of warm water for about 10 minutes. As the water heats the vodka it gently melts the chocolate and the two become infused. What you end up with is a sweet-chocolatey-goodness that’s positively lethal. Serve as a shooter or pour over ice cream. If you’re really feeling playful, substitute the chocolate with other sweeties – anything from smarties to jelly-babies. But if you are using chocolate keep it straight i.e. no wafers, nuts or nougat – or it just becomes a soggy mess.